It’s been just over six months since I started my blog, Michael Rosen Says…. I thought this might be a good point to share some interesting information with you about what I’ve seen so far. And, more importantly, I thought it would be a good time to ask, “What do you say?” Yes, every week I ask for your opinion about my latest blog post. I thank all of you who have shared your thoughts. However, now I want your feedback, not about a specific post, but about my blog site in general. Your input now will help ensure that I can spend the rest of the year providing you with the material that will be most meaningful to you. Over the past six months, readership has steadily grown. I’ve received terrific comments to my various posts, here on the blog itself and on Twitter, email, and various LinkedIn groups. Folks have been almost universally thoughtful, insightful, and courteous. In just over six months, there has only been one comment that I have refused to publish due to its uncivil tone. I’m gratified that all of the top five most popular posts are about being donor centered. 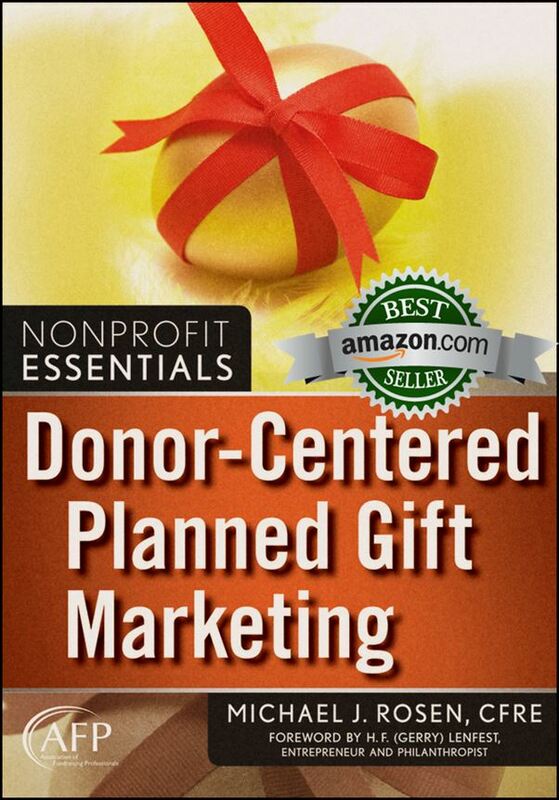 As the author of Donor-Centered Planned Gift Marketing, recently added to CFRE International’s official Resource Reading List, being donor centric is near and dear to my heart. Thank you for appreciating this theme as well. If you’ve enjoyed reading my posts, I encourage you to subscribe (Email Subscription) on the right. This way you’ll be one of the first to find out when a new post has been added. And, while I normally publish and promote one blog post per week, I periodically will publish a bonus post for subscribers that will not be widely promoted. I hope you’ll take just a few moments to share your thoughts with me through the 10-question Reader Survey by clicking on the button below to access the Surveydaddy pop-up. I also invite you to leave me a comment below or, if you’d prefer, feel free to email or call me. Thank you for your time and your interest. Since I wrote the above post on Thursday night, there’s been a change in the ranking of my top five most read blog posts. 9 Fundraising Tips You Can Learn from a Savvy 7-year-old has now displaced What Can Fundraising Professionals Learn from L.L. Bean? in the number five spot. While I won’t continually update this list, I thought I would provide this revision since it’s just days after the original list was posted. Like Art Carey, a columnist for The Philadelphia Inquirer, summertime might conjure images for you of a lemonade stand out of a Norman Rockwell painting. Carey recently wrote about a variation on that image. He told of his encounter with 7-year-old LilyRuth Mamary who operates a mobile lemonade stand in suburban Philadelphia along with her 11-year-old sister, HannahRose. Mission. LilyRuth explained why she wants to raise money for the SPCA, “If I could raise some money, that would really help animals, and they might get adopted and then another animal and another person would be happy.” It’s a pretty simple statement. It’s not fancy. It wasn’t crafted by a strategic-planning consultant. But, it very clearly says what LilyRuth is striving for. It explains her intended outcome. It drives her passion and efforts. Everyone involved in fundraising needs to work for an organization with a powerful, meaningful, clear mission statement. And, everyone in the organization needs to know the mission statement. By the way, if you have to explain the mission statement to someone, it’s not a good mission statement. Passion. LilyRuth and HannahRose are passionate about animals. They each have adopted a kitten from shelters. The family also owns two dogs that also came from shelters. For the past five years, the sisters have also volunteered about once a month at local SPCAs and animal shelters. Their passion for the cause comes through when they talk with their customers. Fundraisers need to be passionate about the causes they work for. Prospective donors, in part, will take into account your passion when evaluating whether your organization is worthy of their support. One way to demonstrate your passion is to donate to the cause for which you work. The Mamary sisters aren’t just satisfied with raising money for a good cause; they’ve “donated” their home to four animals in need. Mobilize.The sisters could have set-up a traditional lemonade stand in the comfort of their own front yard. Instead, they thought they could do more business by loading their lemonade on to a wagon and taking it to an area park frequented by dog walkers and joggers. As a result, business is booming. 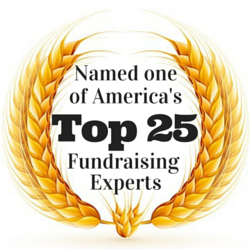 Fundraisers need to make it easy for donors and prospects to find them. You also need to think of creative ways to spread your message. Are you using social networking services like Facebook, Twitter, and LinkedIn, just to name a few? Are you asking donors to refer prospective supporters? Are you getting out in public and talking up your cause? Like the Mamary sisters, get out there. Appreciation. The sisters don’t just sell lemonade; they give their customers complimentary cookies as kind of a thank-you. What a nice surprise. Who doesn’t like cookies? What nice things are you doing to show your appreciation to your donors? Thank your donors appropriately (see last week’s blog post about thank-you letters). Also, think of creative ways you can recognize donors for their support beyond simple thank-you letters. Quality. The sisters don’t serve lemonade from a can or carton. Their lemonade is made from organic lemon juice, real sugar, and water. It’s a quality product that shows respect for their customers. Quality counts. Fundraisers need to present a quality image in everything they do. That means looking neat and tidy when meeting prospects and donors. It means not having any spelling errors in your direct mail letters. It means producing high-impact results. You get the idea. Donors have plenty of choices of where they can give their money. Earn their trust and support by ensuring quality in all things. From time to time, as a special benefit to my blog subscribers, I’ll provide a bonus post that will not be broadly promoted. This special report concerns the debt ceiling/deficit reduction negotiations in Washington, DC. While it looked like the debt ceiling/deficit reduction negotiations would not include reductions or caps to the charitable giving tax deduction, the so-called Senate Gang of Six has resurrected the idea. You can read the outline of the Gang of Six plan by clicking here. The reference to the charitable giving tax deduction is on page four. Meantime, a coalition of nonprofit organizations and professional associations has sent a letter to Sen. Max Baucus, Chairman of the Finance Committee, to urge him to oppose any reduction or cap involving the charitable giving tax deduction. You can download a copy of the letter, including the list of signatories, by visiting http://mlinnovations.com/in_print. Though late in the negotiations, it’s still too soon to know where things will end. In Washington, things can change at a moment’s notice. I’ll do my best to keep you updated on the important news. If you have any insights, please share them below. A couple of weeks ago, I shared with you the news that the Philadelphia Children’s Alliance has outperformed the fundraising efforts of the average human services organization (Giving USA 2011: Good News or More Bad News?). I even shared some insights about how PCA was able to accomplish this feat despite the recession. In this post, I’ll be taking a different approach. I’m going to share with you information about the Foundation Fighting Blindness. Rather than serving as an example of what a nonprofit organization should do, it serves as a warning about what organizations should never do in their telephone fundraising programs and other development efforts. I also provide ten tips to help you avoid making the same mistakes as the Foundation. I suffer from Retinitis Pigmentosa, a degenerative eye disease that will lead to my blindness by the time I reach age 72, unless a cure or treatment is discovered. The Foundation funds research about RP and macular degeneration. Because of my obvious interest in the work the Foundation funds, my wife and I have been generous financial supporters for many years. In addition, before selling my former direct response agency, I managed a successful pilot phone fundraising campaign for the Foundation many years ago. Over the years, I’ve fought many battles with the Foundation. For example, it took years of effort before they would acknowledge gifts as coming from both my wife and me; for the longest time, despite my objections and both our names appearing on the checks, they insisted on only recognizing me. More recently, I was invited to a dinner-in-darkness fundraising event. I objected for reasons I won’t get into here; I requested not to be invited in the future. Guess what? A year later, I received another invitation to a similarly styled event. Last year, I received a generic telephone fundraising call. At my giving level, I was surprised to be included in the phone campaign. I had other problems with the call, made by a telephone fundraising vendor. So, I called the Foundation and was connected to a lower-level development staff member. As I told the phone fundraising caller, I again requested not to be included in future phone fundraising campaigns. I also requested a call from the Chief Development Officer or Chief Executive Officer. I also offered my services on a pro bono basis; I’m a telephone fundraising pioneer and even wrote the Foreword to the definitive book on the subject, Effective Telephone Fundraising by Stephen F. Schatz, CFRE. To my great surprise, there was zero follow-up. However, I was included in this year’s phone fundraising effort despite my request not to be! When I received this year’s call, I saved my breath. I told the caller that I would “consider” renewing my support. By the way, the call was again generic, did not acknowledge my very generous past support, and did not recognize my many years of involvement with the Foundation. The caller, in his long monologue, did not even mention any specific research projects that would be of interest to me. Would you like to guess what I did after I got off the phone? That’s right. I picked the phone back up and called the Foundation office and left an after-hours voice mail message. I did get to speak to a lower-level development staff person. I shared my enormous frustration with the Foundation, its failure to behave in a donor-centric fashion, and it misappropriate handling of its relationship with me. This person was savvy enough to apologize and have the Chief Development Officer contact me. Unfortunately, the CDO was defensive. Furthermore, he failed to satisfactorily acknowledge my special relationship with the Foundation, and he was completely disinterested in tapping my direct-response expertise. I think the CDO should take donor-relations lessons from the staff member I spoke with first. The final insult came when I received my “considering” letter from the phone fundraising vendor. The letter came in a window envelope with metered postage instead of a live stamp. This is not exactly the best way to make an appeal seem personal. Furthermore, the envelope contained the screaming message, “URGENT: Your pledge confirmation is enclosed.” That’s nice, except I did not make a pledge, a point acknowledged by the letter inside; I only told the caller I would “consider” making a pledge. But, I opened the envelope anyway. It was at that point that I noticed that the letter had been misaddressed to my wife. It wasn’t addressed to me. It wasn’t addressed to my wife and me. It was addressed only to my wife! The text of the letter acknowledged that she was only “considering” support. The letter went on to say that “many studies” need funding. However, it did not cite any specific research projects, particularly any that involve my disease. It was a weak letter. It was also an ugly form letter with an attached response card. Again, not the way to make a personal appeal, especially not to a significant donor. The letter used a modest font size and a sans-serif (i.e. : Arial) typeface; knowing that a large number of the Foundation’s donors — therefore, a large number of recipients of the letter — are effected by degenerative eye disease, a larger font size should have been used along with an easier to read serif font (i.e. Times New Roman). The letter also contained at least one spelling error and one punctuation error! Finally, the letter requested a gift of “$100, $50, or $25.” Given my previous level of giving, such a request can only be described as stupid. It’s been sometime since I’ve seen a single letter commit so many sins.